As we mentioned in our roadmap update on 21st November, we’ve started a project to restructure and improve the Whitehall publisher. These improvements will pave the way for future development of publishing on GOV.UK. This blog post explains a bit more about what we’re doing and why. 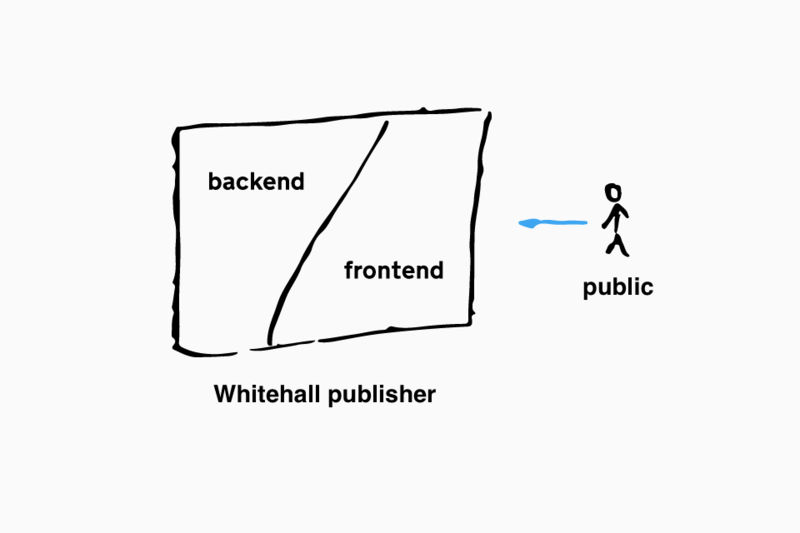 The Whitehall publisher was built as a single monolithic application, with all user-facing (frontend) and publishing (backend) features bundled into a single program. This approach worked well during the initial development of the project in 2012, when the application was relatively simple. However, as more features were added to meet the needs of government publishers, the application itself became more complex and unwieldy. New developers joining the team found it hard to understand the application and work with it, and ultimately performance degraded for our publishing users. This has reached a point where so much developer time is taken up by business as usual work on Whitehall publisher, that we don’t have time to invest in new features and improvements. 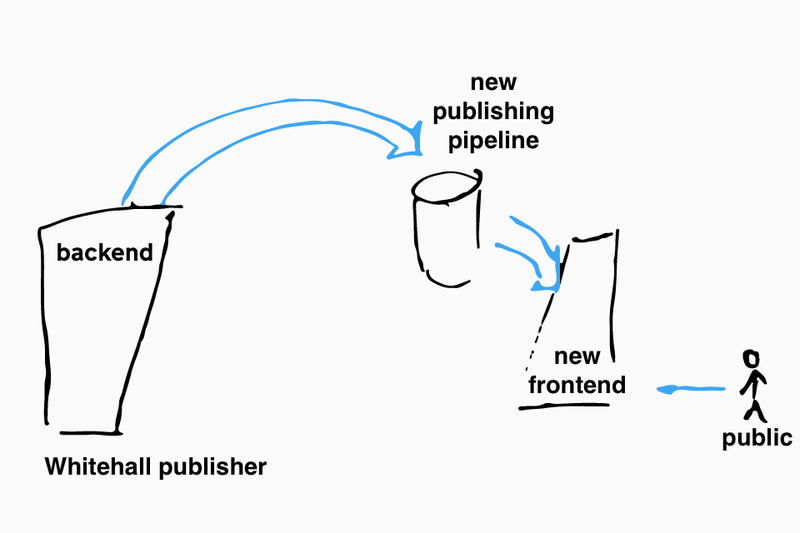 Since March 2014 we’ve been working on a new publishing pipeline. This provides a single, consistent approach to what happens to content when it goes from applications like Whitehall publisher to being live on GOV.UK. It will allow our publishing tools to share functionality like asset management, scheduled publishing, fact checking and previewing. It’s already being used by some of the new tools such as finders, manuals and collections, and in time everything will move over to use it. Having this new publishing pipeline available was the catalyst for tackling the Whitehall publisher, allowing us to take a step-by-step approach to the restructuring, which reduces risk. Our first step is to dual-publish documents from Whitehall publisher into the new publishing pipeline, whilst continuing to serve /government pages to the public from the existing Whitehall publisher. Next, we’ll build a new frontend application for presenting government formats on GOV.UK, and gradually route traffic over to it. 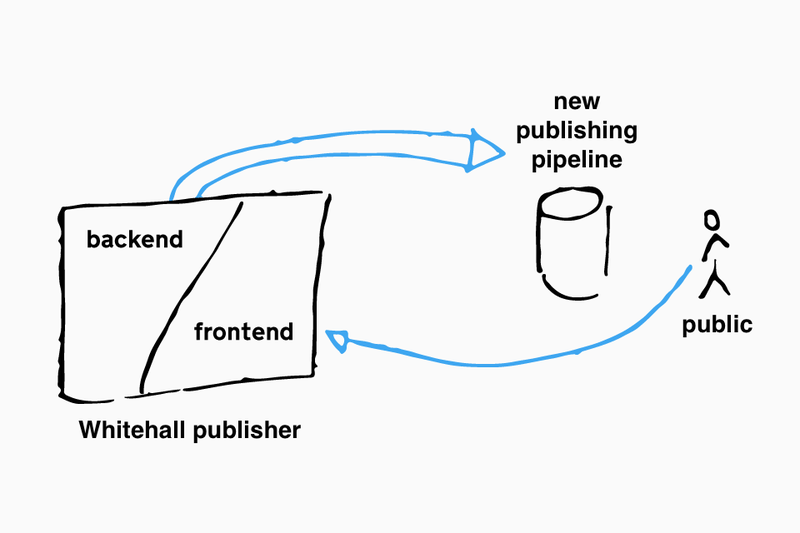 Once we’ve done this, we’ll be able to iterate Whitehall publisher and the new frontend separately which will be a big productivity gain for product teams, especially for work on the frontend. In the new year, we’ll be carrying on this work, focusing on further simplifying the Whitehall publisher backend. Will this new publisher be compatible over all the different browsers Departments have? We're not planning on changing the publishing interface as part of this work, so the level of support for different browsers won't change.